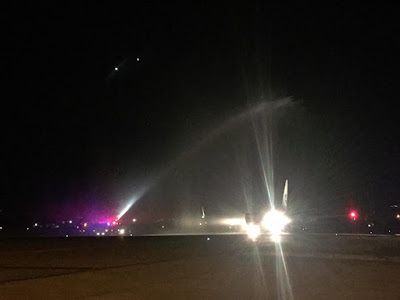 Aviation Updates Philippines - Chinese carrier Xiamen Airlines has launched services between Xiamen Gaoqi and Davao City on Wednesday, September 28. The maiden flight carried 80 Chinese business men and another flight is slated on October 5. Water canon salute upon landing. Photo by Hernel Tocmo. “This is just a test flight and the reason they are coming is to show the relationship (of) China and Davao in particular, and to show support to President Rodrigo (R.) Duterte... We’ve been cooking this for quite a time already and the response is very good,” Eden Josephine L. David, officer-in-charge of the Department of Tourism (DoT)-Mindanao, said in an interview with BusinessWorldOnline during the event. Guests were welcomed with traditional performances in the international arrival area. Photo by Hernel Tocmo. The promotion of the initial flights to Davao only started last month, according to David. 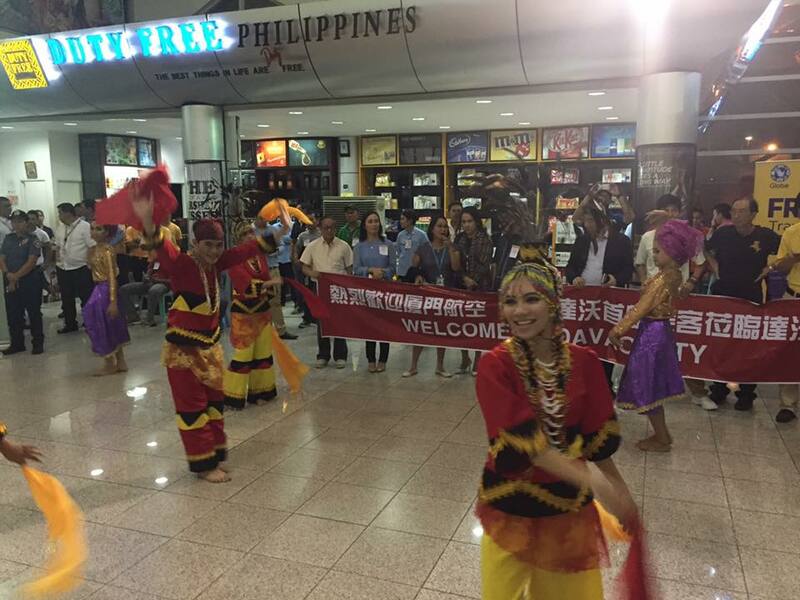 Department of Tourism Davao showed that Chinese arrivals are the fourth highest in foreign arrivals with 10,000 in the first quarter of 2016. According to Wilson G. Techico, Uni-Orient Travel vice-president for business and product development, they are pushing for regular Davao-Xiamen flights. Regular flights are expected to commence this December. Earlier this year, Xiamen Airlines launched flights to Cebu and launched flights to Manila last year. Davao is the airline's third Philippine destination. “There are a lot of Chinese who are staying here, some of them are already third-generation and have been staying in Davao for quite a long time and [the feedback is] that most of them are very happy that there’s this flight... They don’t need to fly to Manila anymore, especially [since] the airport in Manila is quite congested,” Mr. Techico said. The initial flight was flown by XiamenAir's Boeing 737-700, a 128-seat aircraft capable of flying up to 3,000 nautical miles. The aircraft has 8 seats in business class and 120 seats in economy class. There are currently 17 Boeing 737-700 aircraft in the fleet.